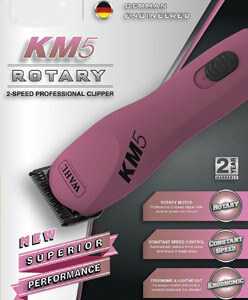 Is The Wahl Professional Animal KM5 2 Speed Clipper Kit Really Tough Enough For All Animals? Any pet owner with larger animals or difficulties grooming will be interested in the Wahl Professional Animal KM5 2 Speed Clipper Kit. This is not the fastest device on the market, with a speed control between 3000 and 3500 strokes per minute, but it claims to make up for this with its power and ability. This corded device has a no-maintenance motor and a #10 blade with blade oil. Wahl are one of the most respected names when it comes to appliances like this, so there are high hopes for the design and performance of this model. Does it live up to these expectations? 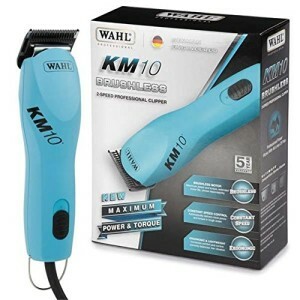 What benefits does this Wahl KM5 offer to dog owners? The main selling point with this model seems to be the idea that it is suitable for professional environments ad big jobs – rather than just the occasional cut at home. This is due to claims about “advanced professional power” and the ability to handle full body clips with ease. It is even meant to be tough enough for horses. Buyers offer positive reports on everything from tiny toy dogs to goats and horses going to agricultural shows. The Wahl clipper is as strong and capable as advertised for a pretty effortless cut. The other benefit here is that the model is designed so the user and the animal don’t suffer during these long sessions. A powerful, heavy-duty device like this could easy become hot, heavy and too intense for the dog, but it promises to deliver a low vibration and has a lightweight design to minimise fatigue. Buyers appreciate the lack of noise and the ergonomic design, and many are able to clip for long periods without having to pause to rest their wrists or tend to their pet. This ergonomic design also helps with ease of access, as does the 16ft cord. 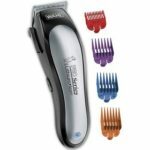 What downsides have buyers mentioned regarding this Wahl Professional 2-speed Dog Clipper? There are occasional reports of faulty merchandise and units breaking down after a year or so, but most seem to feel that the product is of a high quality. Buyers should also note that there is a lack of extras with this product. The specification talks about a model that is ideal for show cuts and tougher jobs, but it only comes with a basic #10 blade and the oil. If you want more versatility and accuracy, you will have to invest in some extra blades and accessories. 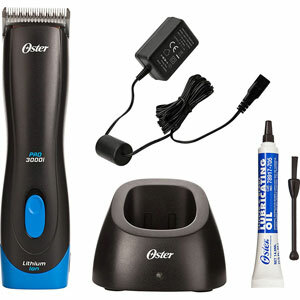 Summary: does this all mean that this Wahl Professional Clipper is highly recommendable? The lack of negativity in consumer reviews shows that there is a lot of potential to these clippers. 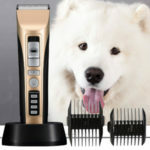 Putting the issue of the lack of accessories and the small chance of a short life to one side, buyers are left with a strong, powerful product that can cut all kinds of coats with ease, while still remaining easy to use and kind to the pet. 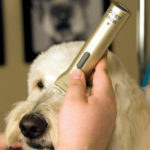 It is therefore easy to see why the tough, ergonomic Wahl dog clipper is so highly recommended by pet owners. 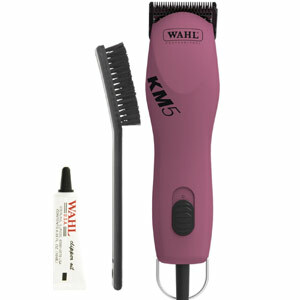 Find more reviews about the Wahl Professional Animal KM5 Clipper Kit on Amazon here.